SUSPENSE SISTERS: Writers Conferences and a book giveaway! As I was thinking of a topic for today’s post, I thought I’d tell you a little about how I spent my weekend. I had a great time teaching at the Carolina Christian Writers Conference. We had about 100 attendees and it was just really exciting to see the eager anticipation on each writer’s face. I know a lot of you who read this blog are readers and we thank you for that! However, I know some of you are also writers. If you’re new to the craft, now is a wonderful time to start thinking about a writers conference. There’s no better way to really focus and concentrate on learning the craft than going to a conference. But you need to be picky. You need to assess your skill level (or get someone to do that for you! ), and then find that conference that best suits your level. I remember my first conference. I attended the Blue Ridge Mountains Christian Writers Conference held at Ridgecrest in Black Mountain, North Carolina. I had two completed manuscripts and I felt sure someone would want to buy them. Well, as it turns out, no one wanted to buy them, but because I attended classes and talked to agents and editors, I was able to learn so much in those fully packed four days. Yes, it was rather expensive, but I have to say, I thought it well worth the price. So, have you ever been to a writers conference? If so, did you consider it worthwhile? And if you’ve never been and want to go, is there one you’re looking at? Investigative reporter Jillian Carter knows it's time to put the past to rest. She's tired of looking over her shoulder, letting a killer go free. She's no longer the scared kid who changed her name and disappeared. Now, no matter what the cost, Jillian must do what she is trained to do--ferret out the truth and expose it. Senator Frank Hoffman committed murder ten years ago--and Jillian watched it happen. Not even the enigmatic and attractive Colton Brady, her ex-boyfriend and nephew of the killer, will be able to make her leave this alone. Get ready for the spine-tingling, nail-biting conclusion to an explosive series. Leave a comment to win a copy of the book! Love your books Lynette! 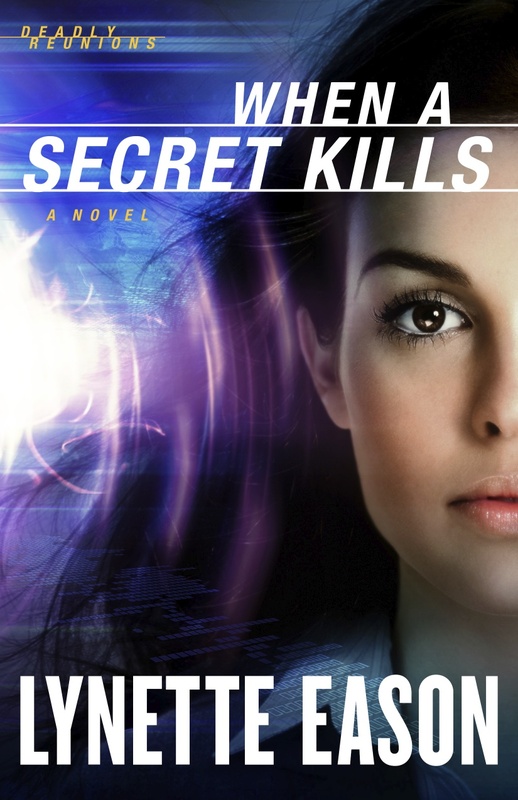 Would love a copy of When a Secret Kills! Jennifer, thank you so much. And sure, if you're the lucky winner, electronic is not a problem. Thanks again! I absolutely love this series and can't wait to read this last book that will bring everything to a close. I would love to win a copy of it. Thanks, and keep up the good writing! I get to go to the Blue Ridge Mountain Conference this year. So excited! Would love to get to know this author...and what better way, than through her books? Would be delighted to win this one! Thanks so much, Linda, appreciate it! This has been my favorite series of your books so far. Can't wait for the release of the new one (or to win it). Also very excited about Ridgecrest. Thanks Pam...looking forward to seeing you! I've been so looking forward to this book coming out. Really enjoyed the first two. Winning a copy would be the cherry on top LOL! I Am So Excited This Is Coming!! IHave Read And Re Read Them. All Of Them! Thanks For The ChanceTo Win!! I haven't had the privilege of reading any of your books yet, but I can't wait. It looks fantastic! Thanks for this opportunity. Hi Cheri, thanks so much, appreciate it! This probably sounds silly, but just yesterday I had had the thought that I was "craving" a new book of yours! I miss the excitement that they always bring. I can't wait to get my hands on this one! Thanks for the giveaway! Jordan, so glad you have those cravings!! LOL. This has been my favorite series of your books So far! Thanks for a chance to win. It's actually in stores now, I think. People have been emailing that they've gotten copies...glad to know you're looking forward to reading it. Oh, I would LOVE to win this book :) Thanks for the opportunity. Hi Betti, thanks so much! 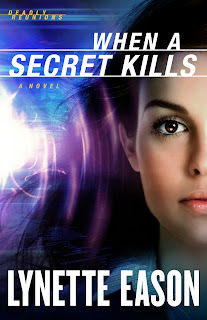 I would be thrilled to win a copy of Secret to Kill!! Thanks for providing the opportunity! Would love to win this book. I have read the other two books in the series, and can hardly wait to read this one! Thanks so much Donna, appreciate it! Looking forward to going to Blue Ridge this year. I've gone to the ACFW conference the past two years, but can't this year. But I absolutely believe in the value of conferences. Can't wait to experience Blue Ridge! Larry, you will LOVE it! Looking forward to meeting you! I'm anxiously awaiting this book. :) You've built up great suspense through the series. I'm looking forward to seeing how it all turns out. You might actually be able to get it now. I've had people spotting it in stores. :) Of course I think the ereader version doesn't release until May 1...so...:) Thanks! LifeWay has it in Greenville, SC. I really enjoy reading mystery/suspense in general, and yours are some of my absolute favorites! This series has been fantastic, and I'm excited to find out how it ends! Thanks for the giveaway!!! I have loved this series so far and look forward to reading the newest one. Truth is, I love every book I've ever read of yours. Hi Lynette! I love your books ......I know this will be an awesome book as all your books are! You are very talented! Would love to win one of your books! Thanks. My first was ACFW, and I don't guess it'll be my last! There is so much to learn, and there are so many writing(and plain ole)friends to make, both of which are good for your writing. I really enjoy your books! Would definitely enjoy winning one of them. Thank you! Going to Blue Ridge next month... it'll be my first writer's conference. I can't wait! Can't wait to read this! It was great seeing you at the Carolina Christian Writers Conference...just wish I could have attended your session! Did you record it? I'll be at Blue Ridge with you next month. Who knows? Maybe I can sneak into one of your sessions there. And thanks for your encouragement. My daughter is counting the days and her money figuring out when she can get your book. I am planning to attend a confernce at some point to learn more about writing. Haven't decided which one. I love your books in this series! I keep guessing to see if I can figure them out. No success so far... Thanks for using your talent for the Lord! I love your books!! I am almost finished with the second one in this series and can't wait to read the new one. Thanks so much for continuing to write such awesome stories!! Sounds like a lot of twists and turns. Not a writer, but if I ever went to a conference it would most likely be a mystery one, maybe Bouchercon or Malice Domestic. I have never read a book by this author and would love to start with this one. The storyline and review all say Read Me.